Independent Publishers Group has bought Midpoint Trade Books, the book distribution company that was founded in 1996 and whose clients are a range of independent publishers in the U.S., U.K., Australia and Canada. As part of the deal, Midpoint founder, president and CEO Eric Kampmann will consult and advise during the transition, while director of sales and marketing Alex Kampmann has been promoted to v-p, general manager, Midpoint Trade Books. Eric Kampmann will continue to own and operate his publishing companies Beaufort Books and Spencer Hill Press, which will be distributed through the Midpoint program at IPG. Midpoint inventory will be shifted to IPG's Chicago warehouse in the first quarter of 2019. IPG CEO Joe Matthews commented: "Our industry is consolidating because distribution rewards scale, requires expensive technology and demands high-level access to customers. By bringing together these two established distributors, publishers will benefit greatly as IPG accelerates its investments in service and innovation." Eric Kampmann added: "For quite some time, I have believed that the moment was approaching when a younger generation of motivated, energetic publishing talent could take Midpoint to a new level of performance and service. But I also recognized that we could not do this on our own. This merger of talent and experience from both IPG and Midpoint will place the combined companies on a whole new level of excellence in service for a very strong group of book publishers. As an active consultant to these companies, I look forward to the challenges and successes to come." Earlier this year, IPG bought International Specialized Book Services (ISBS), the Portland, Ore., academic book distributor with more than 60 academic, scholarly and professional publisher clients around the world. Barnes & Noble's summer of turmoil should continue this week with the release early Thursday morning of first quarter sales and earnings (for which our Thursday issue will be delayed). Likely this will include more bad news: there's no reason to expect that the trend of steadily lower sales of the last few years will end. With the abrupt firing of CEO Demos Parneros two months ago and his explosive lawsuit last week, the company's recent argument that it has a turnaround plan and is busy implementing it rings hollow. At this point, many people assume that executive chairman Len Riggio, founder of B&N the superstore chain, will continue to run the company, whether in name or not. This has made the long-term outlook for the company bleaker than it has been for years. Riggio says he wants to retire, and his vision of the company seems not as revolutionary as 20 or 30 years ago. 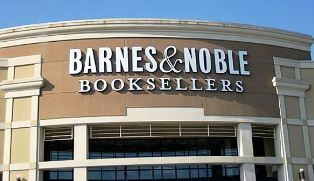 Speculation about the buyer has included Amazon, Books-A-Million, and most everyone's "favorite," Indigo Books & Music. Indigo is a healthy chain that dominates Canada and has a vision for the future (transforming itself into "a book lover's cultural department store") that it is putting into place, with solid initial results. It's also shown an interest in the U.S.: Indigo is opening its first store here this month, in New Jersey, and may open more. 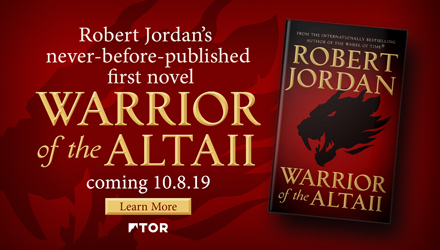 Another possibility that no one has commented on: Elliott Management Corp., the investment management firm headed by Paul Singer, whose U.K. arm, Elliott Advisors, bought a majority interest in Waterstones in April. CEO James Daunt, who has headed the bookseller since 2011, turned Waterstones around after it nearly closed--and might be able to pull off the same trick with B&N. The Kickstarter campaign run last month by Back of Beyond Books, Moab, Utah, to fund three publishing projects to release work that both celebrates and interrogates Desert Solitaire by Edward Abbey, raised $20,000, well beyond its goal of $15,000. First published in 1968, Abbey's Desert Solitaire has been the bestselling book at Back of Beyond throughout its 29 years of existence. Abbey himself worked as a ranger at nearby Arches National Monument for two seasons in the 1950s, and the journal he kept during that time later grew into Desert Solitaire. Sherman's Maine Coast Book Shop in downtown Damariscotta closed its Ampersand Cafe August 23, but owner Jeff Curtis hopes to find someone to reopen the cafe soon as a separate business, the Lincoln County News reported. "We closed the cafe Thursday at the end of the day because we had too few employees to adequately run the business," he said. "Our great manager and another valued employee both found job opportunities in the fields for which they had gone to school. Summer help (was) headed back to school, and another employee resigned without notice. We decided to close and get some projects done in the cafe while we came up with a plan to put the cafe on a more solid foundation going forward." Curtis added that the bookshop is "changing the cafe model from a company-owned cafe to an independently owned business. We believe that having an owner/operator in the cafe will result in... much better service to the community while still maintaining the inviting ambiance of the bookstore-and-cafe combination." The cafe's equipment and space is available for lease, and several people have already voiced interest in the business. Curtis said the cafe should reopen with new management within two to four weeks, and that the bookstore will stay open throughout the transition. The American Booksellers Association has named 72 booksellers as winners of scholarships to the next Winter Institute, which will take place January 22–25 in Albuquerque, N.Mex. Bookselling This Week noted that booksellers at all ABA member stores that did not receive a scholarship in the last two years were eligible to win. Scholarships cover the conference fee; up to four nights plus tax at a hotel in the ABA block; and transportation costs up to $400. An additional scholarship winner will be drawn from booksellers who drop off their card at the ABA booth during the fall regional trade shows. This year's scholarship recipients will not be matched with individual sponsors. Instead, a portion of total fees raised by Winter Institute sponsorships are being dedicated to funding as many bookseller scholarships for as many new and different stores as possible, BTW noted. "We are enormously grateful for the generous support of our sponsors, without whom the Winter Institute would not be possible," said Matthew Zoni, ABA director of development & publisher relations. "This year, in addition to lead sponsor Ingram, we have nearly one hundred large and small publisher sponsors, each of whom have contributed to funding an extraordinary number of bookseller scholarships, and we encourage all ABA members to join us in thanking our sponsors for their ongoing commitment to independent bookselling." There are a limited number of sponsorship opportunities remaining for Wi14; interested publishers should contact Zoni via e-mail. Happy 90th Birthday, Macdonald Bookshop! 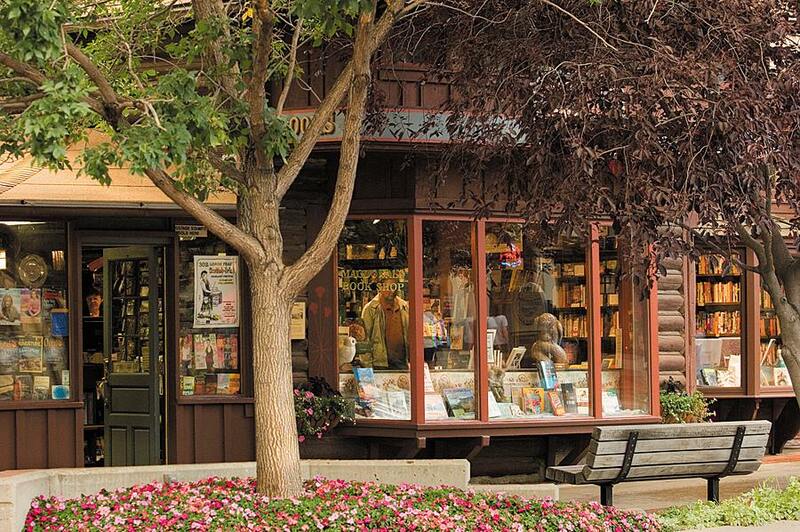 Congratulations to Macdonald Bookshop, Estes Park, Colo., which is celebrating its 90th anniversary on Thursday, September 13, 11 a.m.-6 p.m. "We are so grateful to our customers who have supported us over the generations," the store wrote in announcing the event. "Stop in to say hello to our owner, Paula Steige, and our staff. We will have refreshments and prizes!" 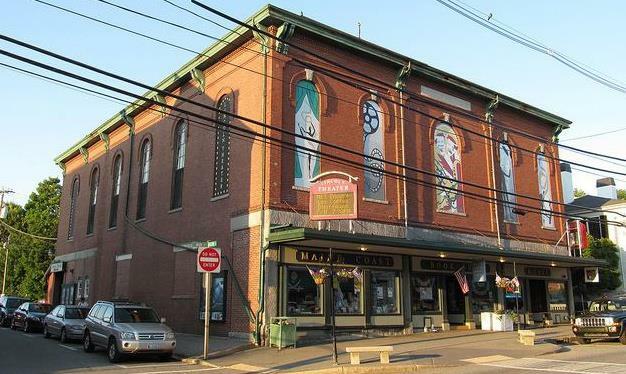 Macdonald Bookshop was founded in 1928 by Ed Macdonald, who had run a hardware and general store, and his wife, Jessica Macdonald, who together opened the shop in the parlor of their home. Over the years, the store expanded and took over the building. Paula, granddaughter of Ed and Jessica Macdonald, became owner of the store in 1971, when her mother, Louise, died. 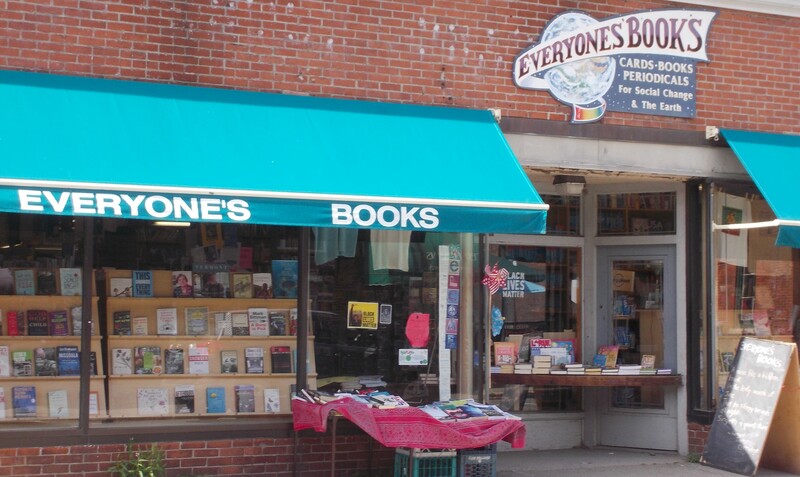 Everyone's Books, Brattleboro, Vt., is donating books to the town police to make available to people who are locked up overnight, waiting to be arraigned, New England Public Radio reported. The program began when a detained woman asked Brattleboro Police Officer Ryan Washburn if there was a book she could read while spending the night in jail. At the time, there were only two books in the station, a pair of old science fiction paperbacks. Soon afterward, Washburn stopped in at the store while walking the downtown beat and asked about book donations. "Sometimes a person can be there all weekend," he told New England Public Radio. "There are no windows, and there's nothing to do but sit there. So why not try to better yourself, read something and make your time more enjoyable?" "Giving something back to the community is certainly something I strongly believe in. And as an activist, I feel like it's the only way we're ever going to have livable communities, is if we all help each other." "Calling all bookworms: if you live in Tacoma, you're in the right place," SouthSound Talk reported, advising readers to "dive into a new read" at some of the Washington city's bookshops. "No matter the season, it's always the perfect time to get lost in a story, learn something new or dive into history. Luckily, there is a bevy of bookstores located throughout Grit City where you can get your fix. From small shops that specialize in historical and hard to find tomes, to big stores packed with genre fiction, kids books and nonfiction, to cozy shops overflowing with titles, to a bookstore with a strong place in the community, there's something for every kind of book lover." Claire Payne has joined Sourcebooks as director of sales, mass & special markets. She was most recently senior director of sales at Parragon and earlier worked at Bendon and Dalmatian Press. 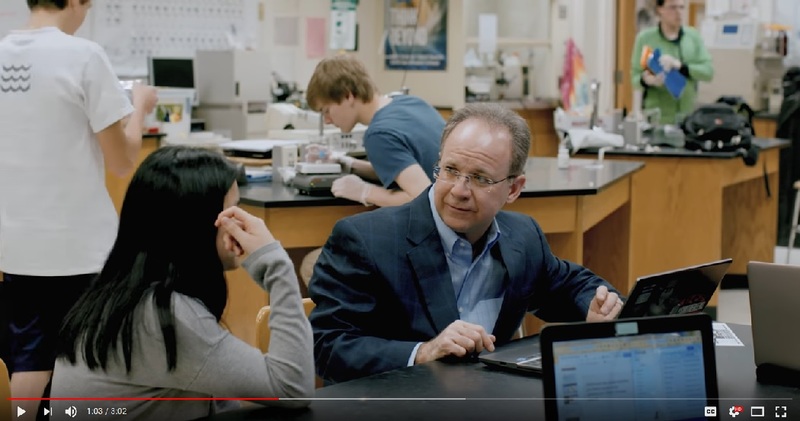 The Class: A Life-Changing Teacher, His World-Changing Kids, and the Most Inventive Classroom in America by Heather Won Tesoriero (Ballantine Books). Today Show: Jamie Lee Curtis, author of Me, Myselfie & I: A Cautionary Tale (Feiwel & Friends, $17.99, 9781250138279). Also on Today: Robert Rand, author of The Menendez Murders: The Shocking Untold Story of the Menendez Family and the Killings that Stunned the Nation (BenBella, $16.95, 9781946885265). Also on Today: Kara Richardson Whitely, author of The Weight of Being: How I Satisfied My Hunger for Happiness (Seal Press, $16.99, 9781580056472). CBS This Morning: John Kerry, author of Every Day Is Extra (Simon & Schuster, $35, 9781501178955). He will also appear today on PBS Newshour and tomorrow on Fresh Air, the View, the Late Show with Stephen Colbert and CNN's Anderson Cooper 360. Megyn Kelly: Linda Kay Klein, author of Pure: Inside the Evangelical Movement That Shamed a Generation of Young Women and How I Broke Free (Touchstone, $26, 9781501124815). Fresh Air: Khalida Brohi, author of I Should Have Honor: A Memoir of Hope and Pride in Pakistan (Random House, $27, 9780399588013). Steve Harvey: Rachel Lindsay, author of RX: A Graphic Memoir (Grand Central, $28, 9781455598540). The View: Sonia Sotomayor, author of Turning Pages: My Life Story (Philomel, $17.99, 9780525514084). Live with Kelly and Ryan: Rosanna Pansino, author of Baking All Year Round: Holidays & Special Occasions (Atria, $29.99, 9781501179822). Today Show: Polo Tate, author of Deep Dark Blue: A Memoir of Survival (Feiwel & Friends, $18.99, 9781250128522). Good Morning America: Rick Pitino, co-author of Pitino: My Story (Diversion, $24.99, 9781635765625). Late Night with Seth Meyers: Ingrid Rojas Contreras, author of Fruit of the Drunken Tree: A Novel (Doubleday, $26.95, 9780385542722). MSNBC's Hardball with Chris Matthews: P.J. O'Rourke, author of None of My Business: P.J. Explains Money, Banking, Debt, Equity, Assets, Liabilities, and Why He's Not Rich and Neither Are You (Atlantic Monthly Press, $27.00, 9780802128485). A trailer has been released for HBO's adaptation of Elena Ferrante's novel My Brilliant Friend. Directed by Saverio Costanzo (Private, The Solitude of Prime Numbers, Hungry Hearts), the series stars Elisa Del Genio and Ludovica Nasti in the lead roles of Elena and Lila as young children, with Margherita Mazzucco (Elena) and Gaia Girace (Lila) in the roles as the girls age. The story and screenplays are by Elena Ferrante, Francesco Piccolo, Laura Paolucci and Saverio Costanzo. My Brilliant Friend is expected to include a cast of more than 150 actors and 5,000 extras, according to HBO, which also noted that the production’s construction team of 150 crew members has created 215,000 square feet of sets, which were built over 100 days. To recreate the neighborhood, the symbolic location of the story, they built 14 exterior apartment buildings, five interior sets of apartments, a church and a tunnel. The costume department is gathering 1,500 costumes, many of which are original creations. The series premieres in November. The eight-episodes project will be followed up by adaptations of the three remaining novels in the series: The Story of a New Name, Those Who Leave and Those Who Stay and The Story of the Lost Child. Best Crime Novel: Marlborough Man by Alan Carter. Judges called this novel about an ex-undercover agent from England trying to distance himself from his dangerous past and settle into a quieter life as a local cop in the Marlborough Sound "a terrific, full-throated crime thriller that puts the freshest of spins on the cop-with-a-past trope." Best First Novel: All Our Secrets by Jennifer Lane. The judges called this "a very assured debut," a novel set in the fictional Australian town of Coongahoola, "about a bullied adolescent girl from a troubled family who is the only person who knows who is responsible for the town's missing children." Chung had loving adoptive parents who never discussed race with her, because they believed that was the right thing to do. "If they did take a 'color-blind' view of our family from its very formation--if they believed my Koreanness was irrelevant within our family, and should be so to everyone else as well--in this they were largely following ideals they were raised with, advice they had been given." She had no words to deal with the racism she encountered as a child. As she grew older, the love and loyalty she felt for her parents coexisted with new realizations of what she had missed. Her childhood fantasies of her biological family were mingled with her sense of abandonment, and the fear that they had given her away because she wasn't good enough. When she became pregnant for the first time, she collected what fragments of information she had and set out to contact them. When she did, she found a new set of difficult and sometimes contradictory stories. She connected with her biological sister Cindy, whose childhood had been at least as painful as her own. "From the time I was young, I had assumed that the same truth that freed me would also free my birth family--that the rush of air and light sweeping away the secrets would come as a relief to all of us. If I learned one thing in the early days of our reunion, it was that I could not compel another person to feel comforted, to feel whole, to forgive themselves. The peace I'd wanted so badly to give my birth parents, all along, was never in my power to give." 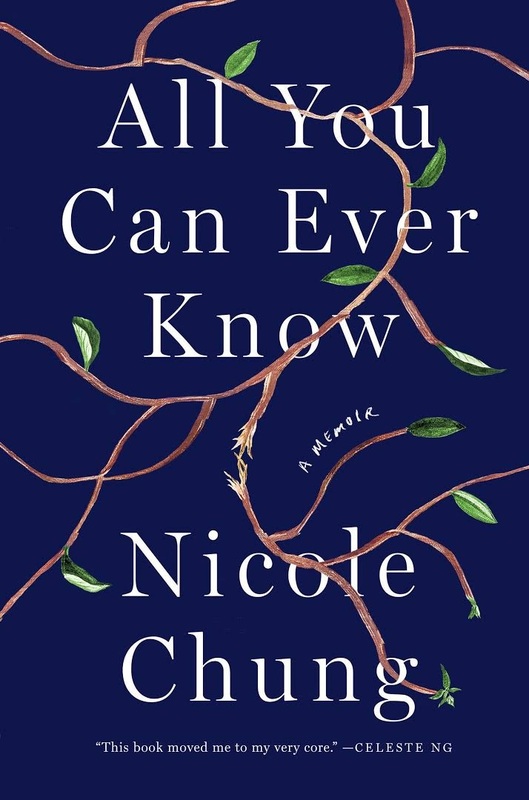 Shelf Talker: A Korean American woman's moving memoir of her experience as a transracial adoptee and her reconnection with her birth family.